My head is still not on straight from settling-in of how awesome this event was for me. I apologize for the length of my race reports, but I know that I wish I had reports to read that were this lengthy when preparing for a big event. Maybe I'll make them shorter for future events... we'll see. Each event I enter lately has become more and more amazing. Seriously, after the CTC25k, then a strong run in Lynchburg's half, the IMTR 16m, and now this? A 24 hour run. "You're going to run for 24 hours?" OK, no I never planned to run for 24 hours, but that is the impression that most runners, and especially non-runners get. If it is hard to imagine, perhaps it is because of the way you imagine it... so allow me to explain. Hinson Lake 24 is quite the relaxed arena... As Race Director Tom Gabell says "It is like a big picnic interrupted by some running" That is until Mike Morton runs past you at a pace beyond any other, and you are quickly reminded that he's the course record holder at 153.89 miles. This year he plans to exceed that. There is always "that guy". Not to discount the effort made by everyone out there that was pressing on to their own goals. 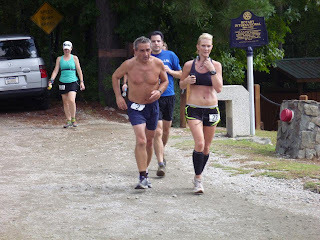 The 6th annual Hinson Lake 24 Hour Ultra Classic Took place in Rockingham, NC starting on September 24th at 8AM and ending on the 25th at 8AM. This is a timed event, rather than a measured event. The goal is to cover whatever distance you desire within 24 hours. The event is quite inexpensive and cost only $24 to enter. The course is a 1.52 mile unpaved path. Runners travel the distance they choose to cover along this loop. It's OK to show up late, and it's OK to leave and come back. There is plenty of food, drink and camaraderie. There is one water stop / aid station for all food and drink. This is next to a table of volunteers that count your lap. 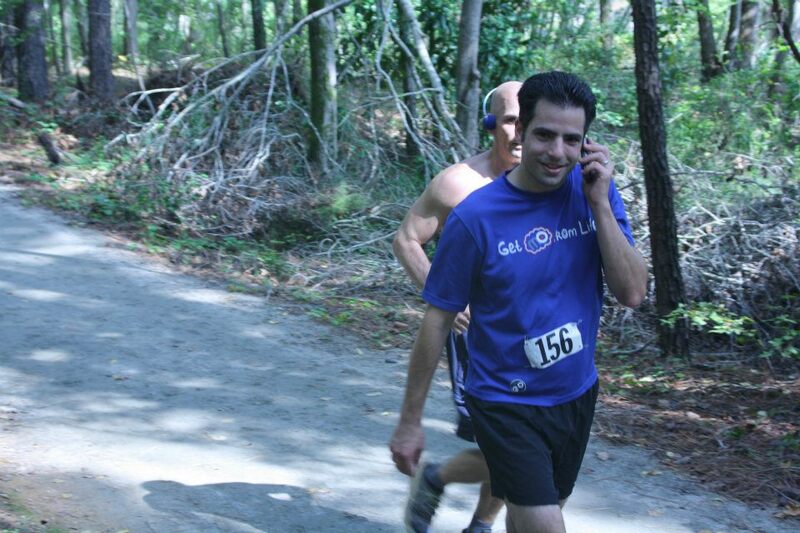 Runners are responsible for letting your volunteer at the scoring table know that you completed a loop. At the end of each lap, you make sure your lap was counted for, often just with eye contact to the person you know has been counting your laps, then you grab any drink and eats at the aid station, then carry on to your next lap. The 6th annual Hinson Lake 24 hour Ultra Classic is the largest 24 hour event in the Nation! This year registration was held to 277 registrations. The average age was over 42 years old. 58% male, 42% female. Runners represented 17 different states, and over 57% of entrants (160 people) were first time runners at Hinson. Rotary lodge, Check-in was here on the deck. Every runner had a different goal, and I bet no one's goal was contingent on what anyone else was doing. My personal goal was to see if I could cover 50k (31 miles), preferably to go that distance in under 10 hours, I really wanted under 8 or 9... Yet I did it in just under 7 at about 6:53! That was the summary. These are the details. I was quite stressed about this event. Interestingly it wasnt about the running, really. It was about the logistics of what to bring. What to wear. What to eat. How and where and what to sleep on, if I even could sleep from the excitement. The concern of being there all alone for 24 hours, all this and more. So in the months and weeks and days leading up to Hinson, I made lists and slowly checked items off of it. I looked up as much info online as I could about 24 hour events, and talked to others. This list kept getting longer and longer, and it started MONTHS ago! a few different pairs of running shorts and shirts and socks. 2 pairs of shoes at a minimum. Sunscreen and chapstick. Body Glide... and an extra bar of Body glide, just in case (I seriously believe in that stuff!). Music. Head lamp. Preferred food items. Body wipes. Cold running gear, just in case - gloves, hat, jacket. Camping chair. Sleeping items: sleeping bag, cot (borrowed from my brother - Thanks John!) and tarp to cover the ground, as well as rain cover. Trash bags. Hand held light. I may add more items as I think of them. If you're planning to attend a 24 hour event, and you've not assembled a running bag, now is the time. I ended up using 2 pairs of shorts, 3 shirts, 3 pairs of socks, plenty of Body Glide in all the special places. I never used my music, sunglasses, sunscreen or cold running gear. I set up the tarp and camping chair right off the bat, then brought my cot and sleeping bag right around dark. My little chair. Same place I set up my cot. What I wish I brought: shoe gaiters, running hat. I probably wouldnt have used the hat, but if the sun was any stronger that day, it would have been nice to have as well as the sun glasses. The silliest thing I probably did for this event was NOT get there the night before. Seriously... a 24 hour event, and I'm going to drive 3:45 (according to Google Maps) in the AM to get there? Friday night, I had the car packed, I scanned the directions again, and looked at the layout of the Hinson Lake premises, parking etc. I tried to de-stress, I had clothes layed out and planed that breakfast would be bought along the way. I was ready to make coffee, kiss Lydia and leave. Alarm at 3:45, in the car at 3:58. I've got 4 hours to get there before race start. Sure I drove a little too fast (swiftly), but got there in about 3:15. Plenty of time to do my pre-race routine, change clothes etc. Parking was simple, park where everyone else is parking. There are 2 places to park, either on the Rotary Lodge side or the Crow Run side. If you want to park on the Rotary Lodge side, you will be closest to bathrooms and to the scoring table and aid station. Yet from this area heading down the course pathway, toward the Crow Run parking area, is where all the tents and "comfort / crew" set ups are. So it is likely that your chair / tent set up will be between the scoring table / aid station and the Crow Run parking area. Picture toward Crow Run parking area, taken from my chair on the course. I was nervous about being far away from the car, and any extra foot travel would want to be minimized, but it truly wasnt a problem. I fared better parking at Crow Run. After changing in the car, I carried my chair, 2 tarps and running gear on my first trip from the car, and never went back until dark. Note in the background the path to the Crow Run parking area. Very close. I walked down the path of tents and crew stations to the deck of the Rotary Lodge and checked in. Race logo design T-shirt, bag and pint glass. very nice! Got my number and pins and headed back to my chair. It was raining. I was wearing a thin jacket to ward of rain. I diddnt get into my running shoes or socks yet, as I diddnt want them wet before running if possible. At the location I was set up at was 2 couples from close to home, Ricky and Sharon Scott and Johnny and Gloria Nolan. There was also a couple from Charlotte next to them, Mark and Kim. They were all very hospitable and welcoming to me, and I greatly appreciate that. I recall what my friend Anita Finkle told me "You have a lot of friends there, you just havent met them yet" Well, I made some friends quickly and I'm still making them now as the pictures are hitting Facebook and being tagged left and right. Race Director Tom Gabell gave quick announcements and provided his repeated advice "take care of your feet". David Solomon spoke a prayer and we were off. No one was really in a rush. I ended up close to Ricky for my first lap and he kind of oriented me on what to expect for the course. The terrain is basically flat, and no hills. There was an area that was affectionately dubbed "Mt. Hinson. Which I recognized the down, more than the up. The path was mostly all fine gravel with many different sized foot bridges. Many runners wore shoe gaiters, and this is most definitely the event to have them. The path leaned right or left here and there, but was basically smooth and simple. It's not the terrain that is the challenge. Yet, again I'm reminded of Tom Gabell's oft given advice "Take care of your feet". Perhaps here is as good a time as any to share that I took some body wipes. Actually it was a pack of "facial cleanser" but whatever... I'd suggest something of that sort to bring, to clean your body when necessary. these were alcohol based, and I'm not sure if that was good or bad, but I used them to wipe my feet of on 3 occasions while running, and also when i knew I was done running for a while. This was good to rid of the grit, and clean between my toes etc. then I changed socks too at these times. A fresh start. At the end of the loop. Very serene. Notice again all the tents. It is interesting that there are so many ways to approach this event. Ricky told me that there are many who use this event (and I'm sure many other 24 hour events) as a training run. Be it a 20 milers or so before the marathon they have their eyes on, possibly? There are others who strive for a certain distance and when they meet it, then they leave. such as a 50k distance. There's also those who strive just to exercise and have a workout for a certain length of time, and when done, they leave. I'm guessing that up to half of the entrants had departed by night fall. I had said that my initial goal was to cover a 50k distance and to do it in 8 or 9 hours. I thought I was capable of this with some walk / run, and never running as fast as I wanted to, despite how I felt. This technique allowed me to complete a 50k in just under 7 hours. Which brought me to my next goal, completing 50 miles within the 24 hour time frame. Well, after I had completed 50k, I took a victory lap (walked while I talked with Lydia on the phone) and consumed much food and drink. Then rested a short time. When I felt that my muscles needed some activity, I took to another run / walk lap. Afterward, I rested, changed clothes, hit the bathroom for a wipe-down bath and put on all new clothes, and shoes etc. I rested in my chair, massaging my feet ("take care of your feet" ringing in my head, knowing that he was smarter than I). night fall arrived and I returned to the car to get my brother's cot and sleeping bag. This was a good set up right on the course. It was there that I rested for about 6 hours. I hit the trail sharing a walking lap with Paul. I'll call him Paul the Astronomer. Paul taught me the difference between astronomy and astrology, which in hindsight was quite an elementary question for his very intelligent mind. I took to a similar routine which carried through my final laps for the 50k... Running from my "camp" set up down to the bridge on the following side. this was claimed to be about the half-way point. I walked the bridge and a little further and then ran again to the aid station and scoring table area... then walked again to my camp, and again ran. I did this for 2 laps, and then forced myself to either walk a full lap, or to atleast walk half of it, and only run the final stretch I would have run otherwise. This continued until the infamous BANANA LAP! Anita told me how this was to work. As the clock is ticking closer to 24 hours, and you are going to head out for your final lap, the scoring table hands you a banana with your bib number and initials on it. You set out on the final lap. When you hear the car alarm signaling the end of the 24 hours, you place your banana on the ground (you are asked to NOT eat the banana) then they will measure your final distance from the start to your banana. I admit that the end was welcomed. I knew I was back on my feet for 4 hours straight, and completing 15-16 miles that morning, often with a head lamp. It was exciting, but honestly if I had another hour, I would have pressed on, and it was good for me that it ended. I had accomplished every goal I wanted. I was making excuses to keep running. I said that if goal #1 deserved a victory lap, then surely goal #2 of 50 miles deserved 2 victory laps! I covered 50k, I covered 50miles. Mission accomplished. "Dont do anything different on race day" yeah-yeah. This is generally good advice, but if you read my other race reports, there's always something being done differently. Goodness - like everything was different! One thing I'd like to emphasize here is that I've been enjoying Silk chocolate soy milk after my longer runs. Very refreshing, sweet and it's like a treat for me. For Hinson, I packed a little tiny cooler that held 4 single servings of Silk, and I looked forward to them as I finished simple milestones, 15 miles, 20 miles, 31 miles. This was a product I was used to but employed it's use a bit differently. Usually on long runs, I'll consume 2 or 3 GU gels. This event I had enough real food items that I never felt the need for a GU, and liked that I could avoid them. They just seem like mysterious chemicals to me. Ironically after that comment. I experimented with electrolyte capsules. I researched and asked around about different brands, and Fleet Feet in my town carried Salt Stick capsules. 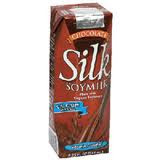 I felt these had a good balance of electrolytes and more than most competitors. It is suggested to take one every 30 - 60 mins. but I took them much less. I took one maybe every 1.5 - 2 hours while running. Of course I avoided cramps, and felt that I was nourishing myself just fine from the aid station. This entry is being completed a couple days after the event. I requested off work for the Monday after the event in anticipation that I wouldnt want to get out of bed, but honestly I feel good. The only negative feelings I have is the outside of my left foot and a little on the arch near the heel. I ponder if this was due to 16 miles on a new shoe, which is a corrective shoe, whereas I've been using neutral shoes? I ponder if it is because the trail kept turning left (think NASCAR) and this continually stressed that part of my foot. I ponder if it is just simply an over use injury. I feel as if I'm walking with a knot under the outer edge of my left foot. I know my right foot's sole is sore, but the left one is taking all the attention. I do not have any blisters, and I thank Smart Wool socks for this. The Smart Wool PhD Running Light Mini is my sock of choice. I've been wanting to find an awesome sock and I think I have found it! I also think this is due to the foot care and cleaning of my feet I did periodically. Any sore muscles are not near as bad as I know I've felt before. I'm sore, but just a simple soreness, nothing harsh as I would have possibly imagined. 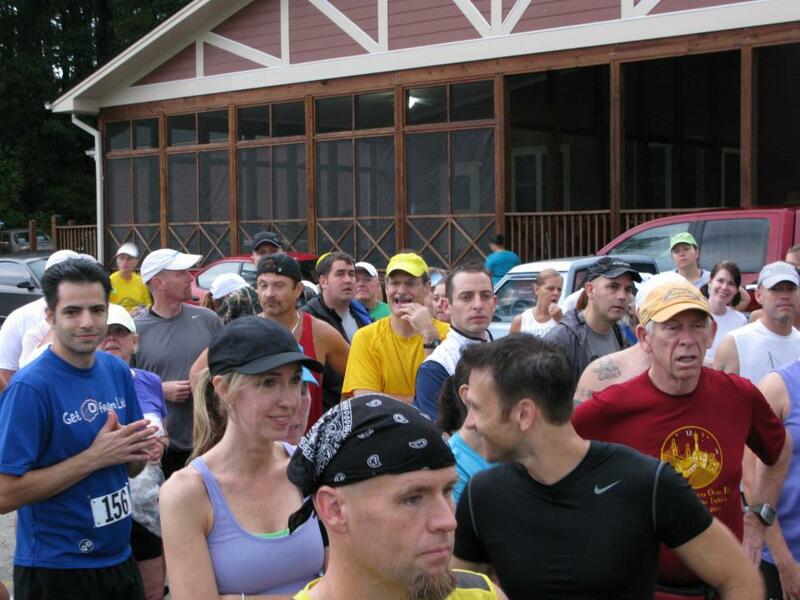 on October 22 is the Mountain Junkies' 4 mile trail night race. and in December is the Crooked Road 24 Hour Ultra! A lot of fun to look forward to. Running to keep up with Ray K., writer for The Running Times. Walking a "victory lap" and calling my wife the report the recent accomplishment. 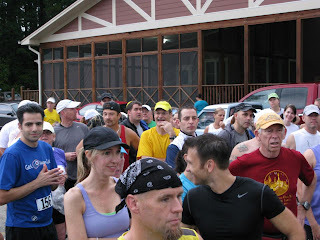 Pre-run jitters, but everyone was unusually calm. A fine report. Really captures the atmosphere of the event. Plenty of useful information to consider as a potential candidate for a future event of this nature. great post. Finally a post on Hinson not from someone who planned on running 100+ miles. 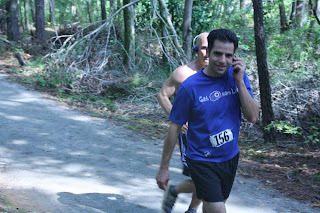 I am doing my first Hinson and fist 24 hour or ultra run in a couple weeks. I really enjoyed reading this.